In an alternate universe, Mario+Rabbids Kingdom Battle was first revealed in Nintendo's E3 presentation tomorrow. It was promptly treated to a downpour of cyber vitriol for its troubles. Okay, not really. My point here is that perhaps the wonders of internet leaks have softened the animosity towards a collaboration between Nintendo and Ubisoft that everyone already knew about. When you've mentally braced yourself for the worst, you can accept the best. Most importantly, Ubisoft gave more time and care than the game would likely get in Nintendo's half-hour show dedicated to all things Nintendo. A surprise Shigeru Miyamoto appearance didn't hurt either, what with Nintendo's mastermind rarely appearing on that stage these days. Seeing the game in motion makes one appreciate just how grand its vision actually is. For starters, this game's interpretation of the beloved Mushroom Kingdom captures the majesty of that environment. It appears to be one of those outings where sightseeing is compelling in and of itself. That personality transfers onto the characters that inhabit the world too. In their heyday, the rabbids were beloved for their goofy characteristics and now the Mario world can greatly benefit from those mannerisms. The sometimes sterile Mario cast has a lot to gain just by being in their presence. The inclusion of unusual weaponry such as guns (or "blasters" if we want to soften the connotations of the family-friendly plumber bearing arms) also promises to change things up quite a bit. Besides that, this is basically Mario meets XCOM. While not at all what I expected, I'm not complaining in the slightest. Some of the mustachioed plumber's finest adventures were turn-based affairs and taking a page out of one of the greats allows this game to go into fresh territory. Small-scale tactics skirmishes with Yoshi and plenty of slapstick/visual gags should go down just fine, I think. The game hits Nintendo Switch consoles on August 29 this year. 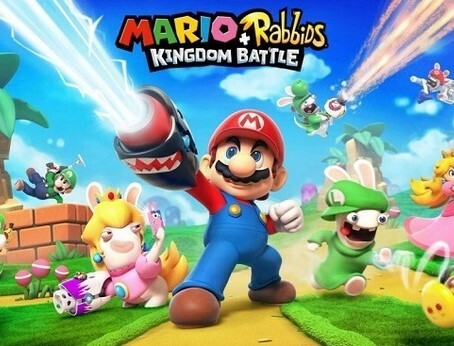 For a game no one seemed to want, Mario+Rabbids Kingdom Battle suddenly can't come soon enough.